Mexico is the auto industry darling, Canada is struggling to retain a manufacturing footprint, and the U.S. is a house divided with most of the new automotive investment and jobs headed south of the Mason-Dixon line. The three countries are a united trading block under the North American Free Trade Agreement, or NAFTA, but they're fierce rivals in the boardrooms where auto executives decide where to invest in the latest equipment and additional jobs. The relative fortunes of the three countries have changed over the years, but right now, and for the foreseeable future, the farther south you are located, the better. Of the vehicles built in North America last year, Mexico produced about one in five, or double the rate from 2004. WardsAuto, which tracks production data, expects the rate to increase to one in four by 2020. 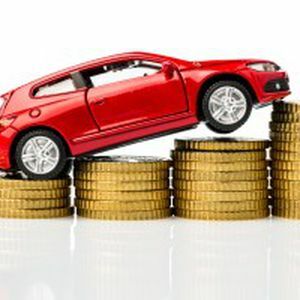 "The U.S. South and Mexico are winning the battle," said Dennis DesRosiers, president of DesRosiers Automotive Consultants near Toronto. "Over half the capacity and 80%-90% of investment dollars are going to the U.S. South or Mexico." Conversely, he sees the Canadian auto industry dwindling to five automakers with a single assembly plant each over the next decade or two — or about half its current manufacturing footprint. Where is your car made? The auto industry is global, but increasingly companies want to build in the region where they sell. Which means chances are your new vehicle will continue to be built in North America but may not be made in the U.S.A.
Back in 2004, 11.6 million vehicles were built in the U.S., or 74% of the 15.8 million industry total. Canada built 2.7 million, or 17% of the capacity; and Mexico contributed only 1.4 million vehicles, or 9%, according to WardsAuto. In 2014, signs were evident the tide had turned. Mexico's production had more than doubled to 3.2 million units, or 19% of the 16.9 million industry total. It came at the expense of the U.S., which dipped to 11.4 million units, or 67%; and Canada, which was down to 2.4 million, or 14%. And the trend will continue. Wards forecasts new plants will add 1.2 million units of capacity in North America by 2020 and it is not evenly split. Virtually every automaker is adding capacity in Mexico, including General Motors, Ford, Toyota, Honda, Volkswagen, Audi, BMW, Hyundai and Mazda. The country is a "massive untapped market" that could grow by another 1 million to 2 million vehicles a year, DesRosiers said. By 2020, Mexico is expected to build one in four vehicles in a North American industry of 18.6 million units. The U.S. will hold its own at two-thirds of the output, or 12.2 million vehicles. Canada is the big loser, down to 1.6 million vehicles and 9% of the output. In 2014, automakers announced $18.25 billion in additional investments in North America. The breakdown: almost $10.5 billion for the U.S., $7 billion in new projects for Mexico, and a single $750-million project for Canada, according to the Center for Automotive Research in Ann Arbor. That is on top of the 18 plants already in Mexico, and there are least five more planned or under construction. Mexico has seen a 40% increase in auto jobs since 2008 to 675,000 last year while the U.S. saw only a 15% increase in the same period to more than 900,000. The domestic market continues to grow, and Mexico's ports and its trade agreements with 45 counties have helped establish it as a strong export hub to Europe and South America as well as the rest of North America. By contrast, the U.S. has about 20 trade agreements, and Canada also has but a fraction of Mexico's pacts. "The three countries fluctuate," said Batey, who said GM wants a balanced presence in each country to negate the impact of currency fluctuations and avoid shipping great distances. "The most efficient way is to build where we sell," Batey said. "We want to source and manufacture within the three countries." The pros and cons of each country keep changing. Everyone wanted to build in Canada until a few decades ago when Mexico emerged as the attractive low-cost region. Then Mexico lost some of its edge in 2000 because its costs were about 11 times more than China, said Peter Hall, chief economist with Export Development Canada. But wages have been rising about 19% a year in China's coastal regions while costs have remained flat in Mexico. The end result is that Mexico's labor costs are only slightly higher than China and in some instances they approach parity. But labor is only one of the factors in play when automakers are deciding where to invest. They must be balanced against the productivity and product quality of a trained workforce. There are logistics such as roads, ports, rail access, crime rates, security issues and trade pacts. With new entry-level wages in the U.S., union-run health care trusts and Obamacare, labor costs have come down. Canada has become a higher-cost nation. Mexico continues to mature, increasing its quality and output to meet greater demand both at home and abroad. "We want to be part of a growth market," Batey said, and capitalize on low cost and productivity. Ford's Stephen Odell, head of global sales and marketing, adds a cautionary note. "Mexico has a lot of capacity going in. At some point labor rates will go up as a result." General Motors is investing $5 billion and adding 5,600 jobs from 2013 to 2018 with manufacturing hubs in Toluca, Ramos Arizpe, Silao and San Luis Potosi. Ford is spending $2.5 billion on new engine and transmission plants in Chihuahua and Guanajuato, in central Mexico, creating 3,800 jobs. Canada bid for the engine contract and lost. Toyota is spending $1 billion on a plant in Guanajuato to build the Corolla starting in 2019, creating 2,000 new jobs. Mazda spent about $800 million on a new plant in Salamanca to make the Mazda3, Mazda2 and Scion iA for Toyota. Honda spent about $1.27 billion in Celaya to make the Fit and HR-V crossover as well as transmissions. Volkswagen plans a $1-billion expansion and 2,000 more jobs to add a three-row Tiguan compact crossover at the Puebla plant that makes the Golf and Jetta. Audi is spending $1.3 billion in the state of Puebla to make the Q5 crossover. Chrysler is expected to expand its current operations. BMW is investing $1 billion and adding 1,500 jobs in San Luis Potosi in 2019. Speculation is the plant will make the 3 Series. Hyundai is exploring building a plant in Mexico. Daimler and Nissan have a $1.4-billion joint plant in Aguascalientes to make Mercedes and Infiniti compact cars.